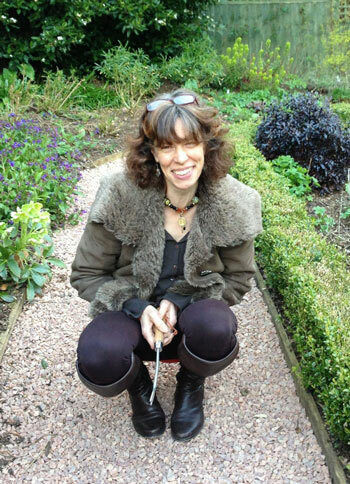 Having graduated from Cheltenham College of Art and Design in 1983 with a Degree and Diploma in Landscape Architecture, Jacquie worked initially for Thamesdown Borough Council designing public open space, play areas and gardens for sheltered accommodation. In 1985 she moved to Northern Ireland to take up the post of Senior Garden Designer for The Landscape Centre, one of the Province’s leading design and build companies. Returning to England after seven years, she joined The Julian Dowle Partnership working on a range of prestigious private garden projects throughout the British isles and mainland Europe including two Gold Medal winning exhibits at the Chelsea Flower Show. In July 1997, Jacquie established her own private practice initially based in Newent, offering a bespoke service to private clients and was appointed consultant designer to Hertford College, Oxford. In 1999, “Mr. McGregor’s Garden” based on Beatrix Potter’s Tales of Peter Rabbit was awarded a Gold Medal at the Chelsea Flower Show and Jacquie was invited to join the Royal Horticultural Society’s judging panel. She has also compered the Celebrity Theatre at The Malvern Spring Show and has taught garden design for Hartpury College, The Open College of the Arts and on a private basis. Her Newent garden was featured in Lance Hattat’s “Gardening in a Small Space” and in several magazines. An artist in her spare time she has taken part in Channel 4’s highly successful series “Watercolour Challenge” and undertakes illustration work specialising in animal portraits, examples of which can be seen on the “Jacquie the Artist” page of this website. Based in Malvern since 2012, Jacquie continues to offer a bespoke design and project management service to private clients throughout Worcestershire, and the neighbouring counties. ©2013 Jacquie Gordon, All Rights Reserved.